Many people want to allow certain parts of their pasts to be forgotten, but not everyone succeeds at doing this. Marriage isn’t always about grand romantic gestures and mushy notes. Sometimes relationships are strained to their breaking points by circumstances that show absolutely no signs of improvement. One of the things I enjoyed the most about this novel was how sensitively and compassionately it explored this subject matter. It was by far my favorite subplot. There was a great deal of telling instead of showing in this book. This happened when describing the character’s reactions to certain events in their lives. It also occurred when the narrator talked about how those events unfolded. The narrative contained plenty of opportunities for the these things to be explored in great detail, but I had trouble emotionally connecting to what was going on in the plot because of how they were described. Olivia’s mother lived through a tumultuous time in American history. The flashbacks that showed what it was like to be a young adult during those years were almost as fascinating as seeing how the choices she made so long ago would eventually come to affect her daughter. I looked forward to every single one of these sections. The character development wasn’t very strong. At times Olivia made decisions that seemed completely out of character for her based on what I thought I’d figured out about her personality. The hints about what she was like were so subtle, though, that I was never entirely sure if I’d interpreted them correctly. This problem also showed up with some of the other characters as well. I was pleased by how much time was spent focusing Olivia’s quest to carry a pregnancy to term. It was a heartbreaking, tension-packed subplot that made me ache for a happy ending for her. She had so many obstacles in her path that I really wasn’t sure how the author would resolve all of them, but I was quite interested in seeing how it all might happen. 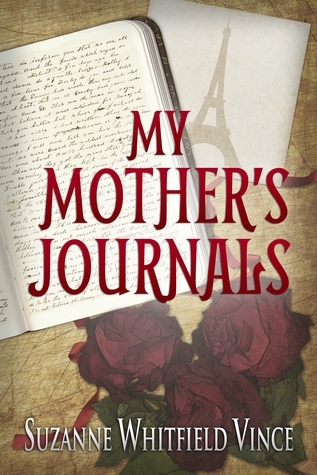 My Mother’s Journals is a good choice for anyone who enjoys romantic stories about people who must juggle several serious life problems at once.